Check out the rest of the look book on the Minnetonka website HERE. And enjoy the video below featuring the looks from this shoot! 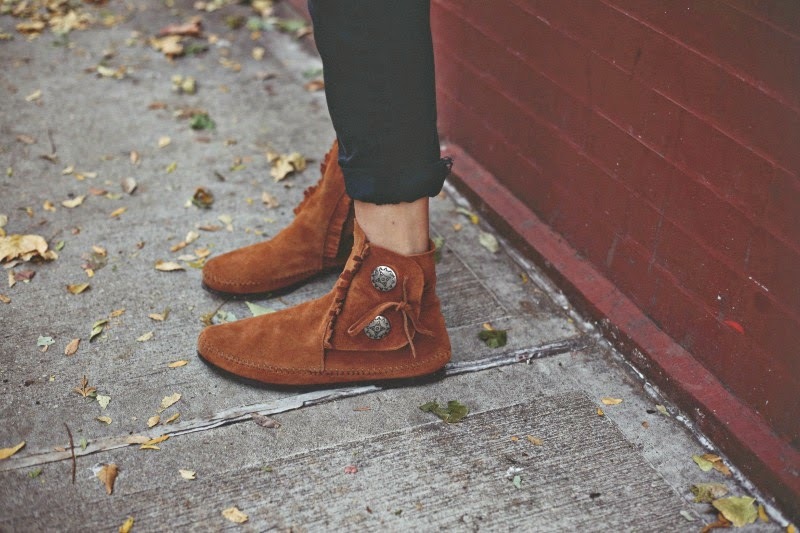 Make sure to check out the Minnetonka Moccasin site HERE to see more awesome styles!! love the tall fringe boots! obsessed with the hats in this post! I have a huge giveaway on my blog right now! Great post inspiration. Thanks for sharing. love the video and of course my fav boots Ever. So chic and love those classic boots , and oh love the video Fab. You sisters are true stars and so damn talented, no wonder you sisters are so busy. you ands your sister looks always perfect! Cute jewellery. Love the flats. love the video , FANTASTIC so enjoyable to watch.